Several individuals usually love to explore things and places beyond their reach. Based on a true event, human go beyond the norms and the mission of exploring the moon for the first time. 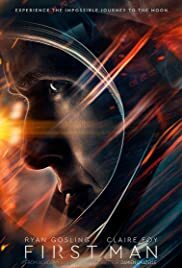 First Man is an American movie that reveals the difficulties of facing impossibilities man have to go through just to step down on the moon. The movie is lead by a great actor Ryan Gosling who will play the role of Neil Armstrong who will take the journey of man’s discovery to the next level. At first the movie shows how many astronauts who sacrificed their lives to perfect the journey. One thing we know that Neil Armstrong and the rest of the astronauts who defy human limits did not just accomplished the mission by just ordinary measures but together with great training on how to pilot the spacecraft and to land it successfully on the moon. We have been seeing movies in the past which features space exploration and sacrifice for a death defying mission. First Man movie will give more meaning and information regarding the struggle of the people behind the exploration and what they have been through to pull off the impossible mission. Watch the First Man next month for your family entertainment.